You think Shanghai has dirty foods? Think again! 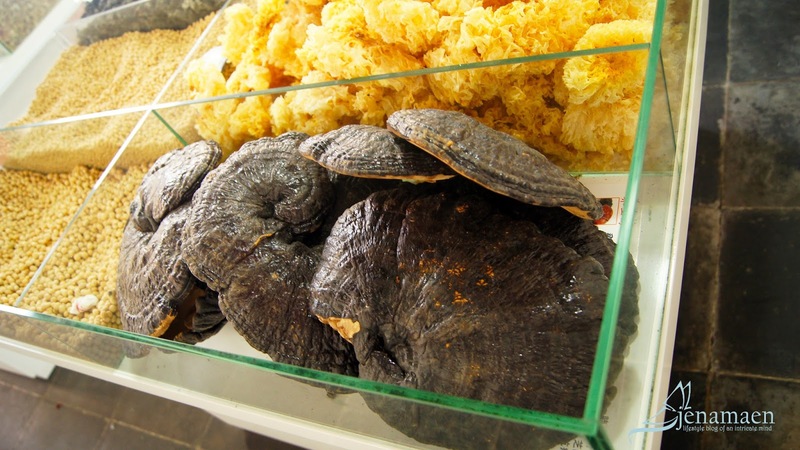 Contrary to the statements that China is a dirty place to live in, we did find some great tasting foods that will actually bring you back home in one piece. It was a chilly month when we went there back in 2014 so some foods might not be available during summer. But looking through the food photos that I've found during our stay there, makes me what to go back there all over again - just for these mouth-watering foods. 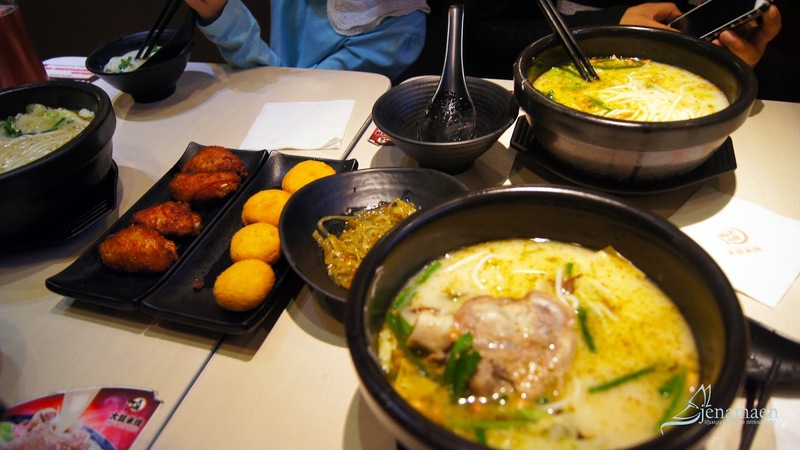 Being a first timer, here are the select foods that I've found really interesting to look at and equally good to the taste that everyone who wants to visit Shanghai, China, should definitely try! You might think eating street foods in China is not a good idea, after all the negative feedback we hear in the news or social media shares. Well, you're definitely not alone in that thinking. But as my sister and I were walking down a street going to Yuyuan Garden, we found this interesting thing-in-a-skewer that we absolutely had to try. Because who wouldn't? Look at it! 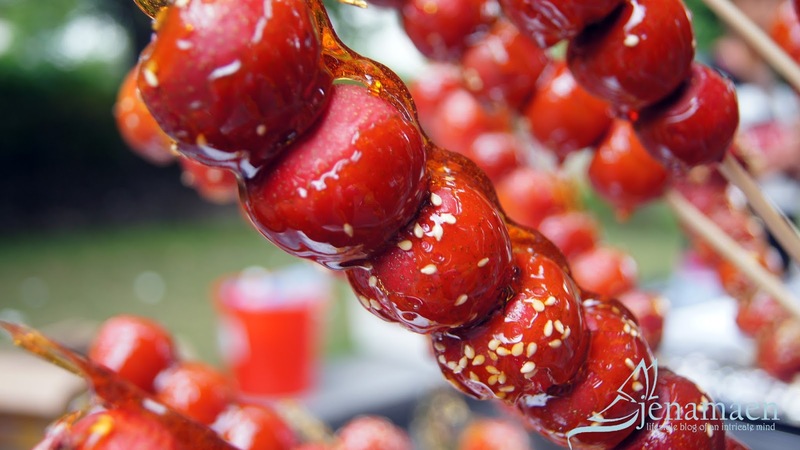 This one is generally called Tanghulu (bingtanghulu), which is basically a delicious treat made from caramelized fruit stuffed into bamboo sticks about 20cm long and is considered a real delicacy for the little ones. Sold on the street especially in tourist areas like the hutongs (alleys) in Beijing's Wangfujing area (one of the most famous avenues in the capital of China), the tanghulu are made by covering the fruit with a layer of hardened sugar that is obtained by immersing the skewer in sugar syrup. But of course there are other variants of the preparations, one of which includes a second chocolate coating, or sesame seeds. 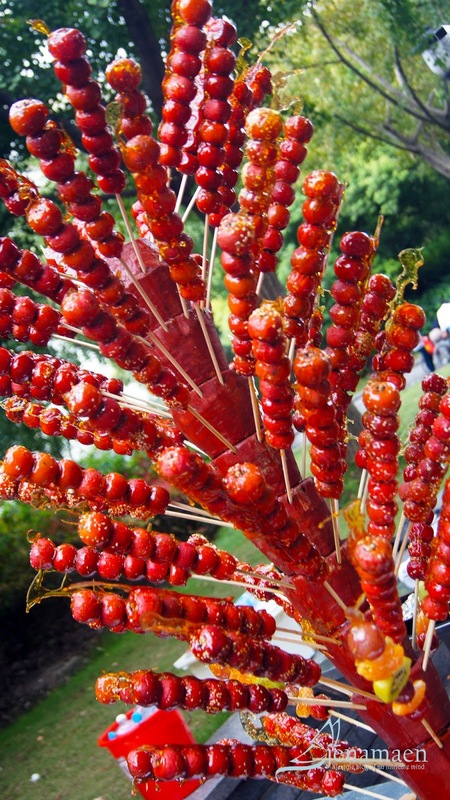 In the traditional version, the fruit with the skewer was that of the Chinese hawthorn, but recently vendors have adapted to the tastes of Western tourists, even by using tomatoes, mandarins, strawberries, blueberries, pineapple chunks, bananas, kiwi and grapes, sometimes mixing in the same skewer different types of fruit. (1) And the taste? Definitely satisfying! No wonder its popular among kids! This next one, has become my all time favorite among the foods I've tasted in Shanghai, China. Xiaolongbao is a type of steamed bun (baozi) from the Jiangnan region of China, especially associated with Shanghai and Wuxi. It is traditionally prepared in xiaolong, small bamboo steaming baskets, which give them their name. (2) For me, it taste absolutely heavenly, especially when you're hungry. Not to mention the fact that they are so cute! This one in particular was taken when we were in the corner streets of Yuyuan Garden. I've tried several other xiaolongbao in different stores and restaurants, even in Nanxiang Old Street, which is said to be the home of the original xiaolongbao, but for some reasons, this one specifically has become my special favorite. Xiaolongbao at Yuyuan Garden. Aren't they cute?? Now, while we were walking around a town, I had this sudden urge to try an authentic Chinese Siopao - or what the locals call Baozi. 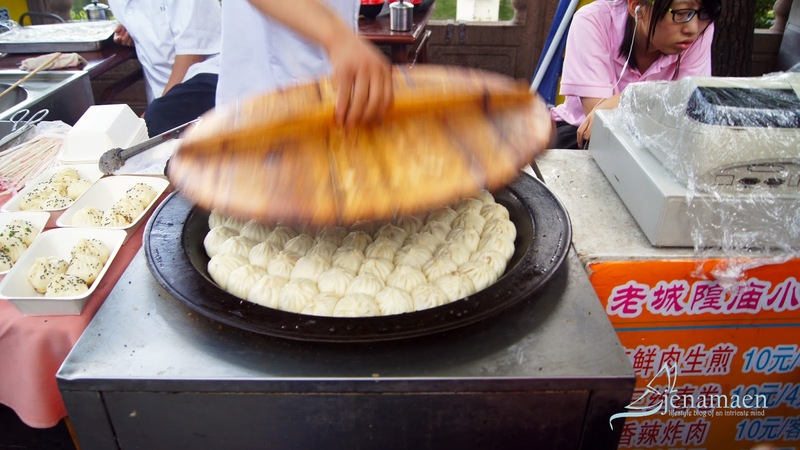 Basically a steamed bun with fillings, this version was stuffed with vegetables and tofu. We didn't know, back then, that there are lots of fillings available for a baozi, but fortunately enough, we had this one. Although it was not the delicious meaty-filling I'm used to back in the Philippines, this one was a good try. Be careful though, they say that some fillings they have may never be pleasant to foreign taste buds. If you're feeling thirsty after all those carbs, why not try to grab a drink and freshen up a bit? Feeling a bit more crazy, though? Try this. Nothing special though. It's just an ordinary juice in a blood-bank form container. From Cafes to full blown Restaurants. 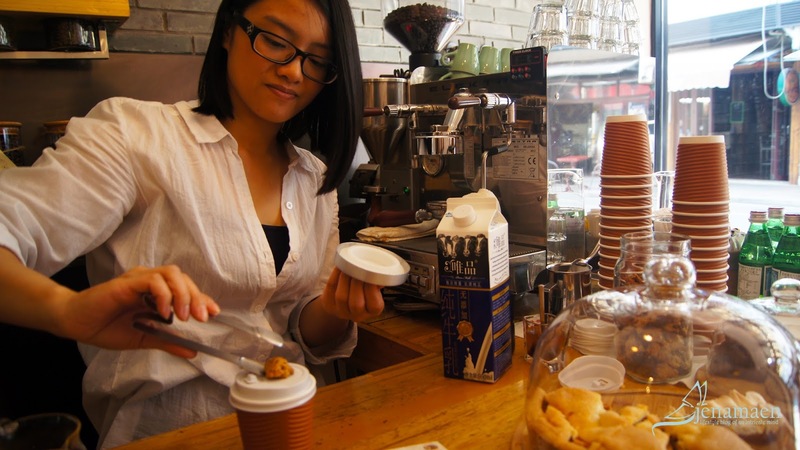 I was surprise to see that of most cafes in Shanghai were cozy, inviting and equally tasteful to try. 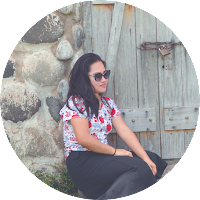 These were the ones that we went to and tried. 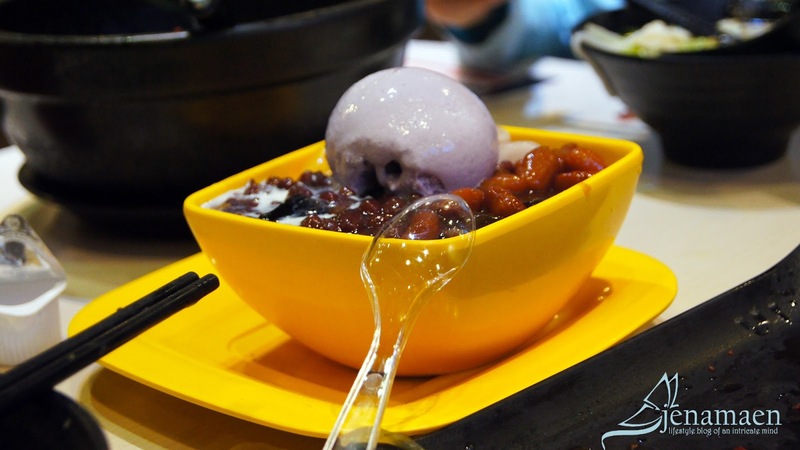 Shanghai, being a city and a tourist destination in itself, its no wonder that these cafes and restaurants are tourist friendly when it comes to food selections, despite the strong language barrier that they have there. Amokka Café - Located at 201 Anfu Rd, Xuhui, Shanghai, China. Click here for TripAdvisor Reviews. 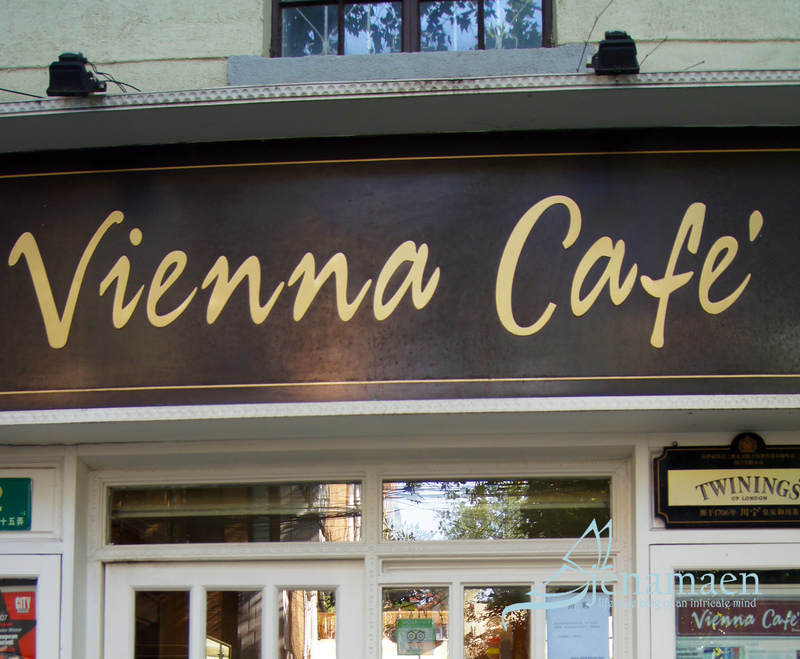 Vienna Cafe. We had a simple lunch there. The ambiance were definitely cozy and the reviews were definitely right! Click here for the TripAdvisor Reviews. 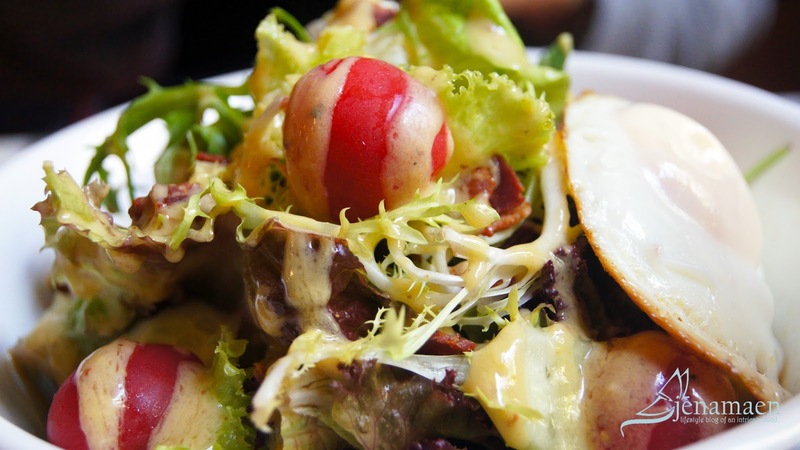 Momi Cafe - The branch that we tried was the one in Qibao Old Street. Its a concept cafe that has a 'time-travel' theme, in which you can address a mail to yourself or someone else, put a mailing date sometime in the future, and when that date comes, they will mail it to the recipient. It's a cute concept, and now I regret that I didn't avail of their services! 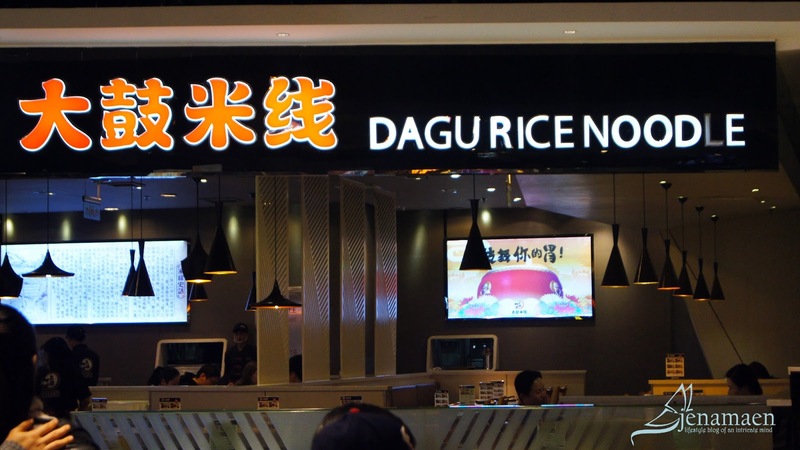 Dagu Rice Noodles - An Asian restaurant in a mall somewhere in Nanjing Road . We were treated by a friend here so that we could try some rice noodles and be full for lunch. And, being a probinsyana, I was amazed that they let us take the glass bottles to-go with us. I mean, that's going to be pretty expensive on their side if every customer does that! 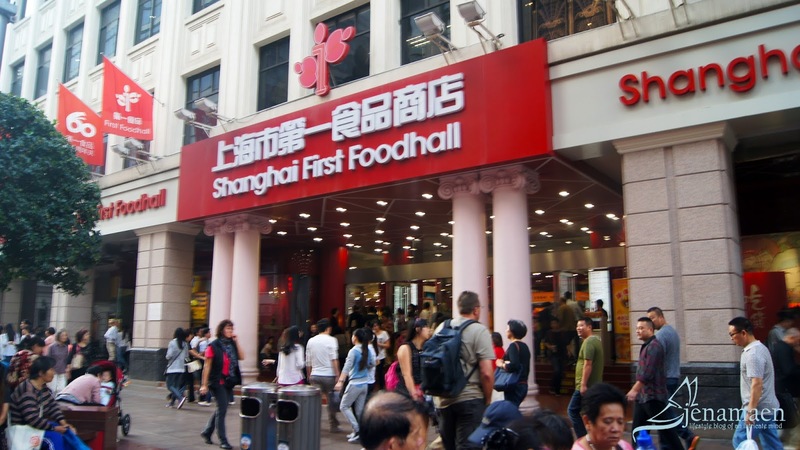 Shanghai First Food Hall. 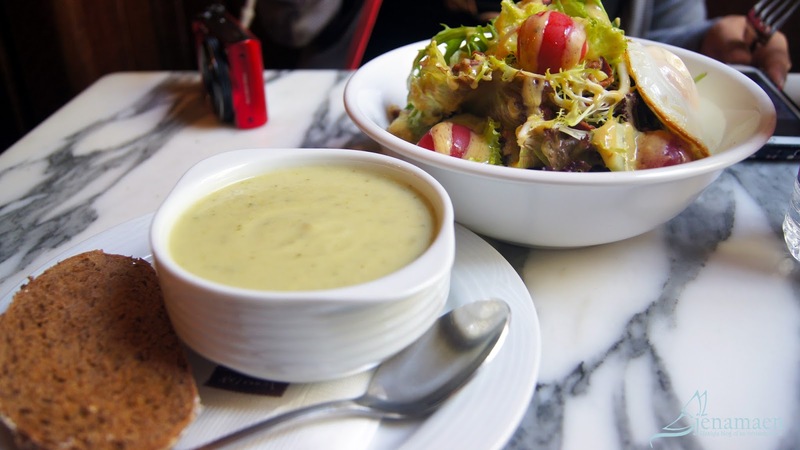 If you're still not satisfied, and still feeling a bit more food-adventurous, try this. 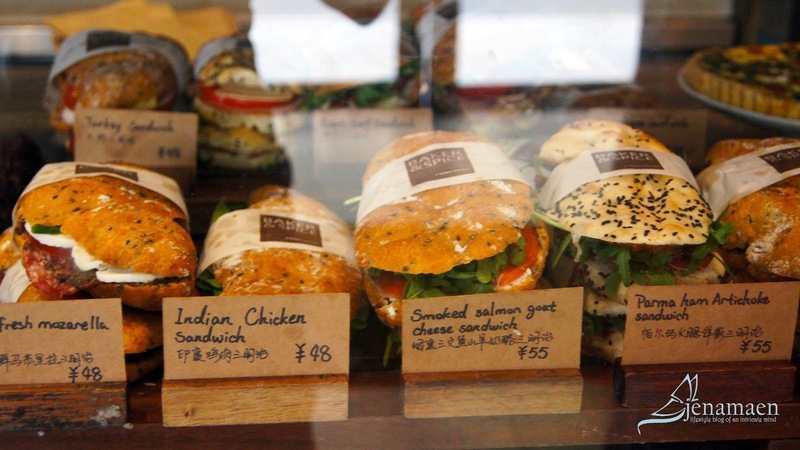 They have huge selection of food for almost every kind of foodie out there. It was a bit too heavy for us, but we did get one item though. 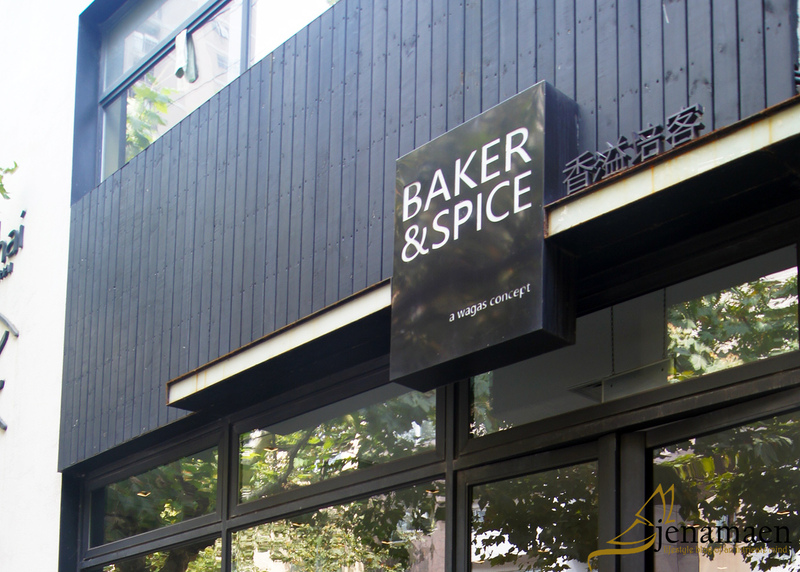 Located at Nanjing East Road. Click here for TripAdvisor Reviews. Yup! This was what we got. Just so, you know, we could say we bought something there. A bundle of Herbs and More! 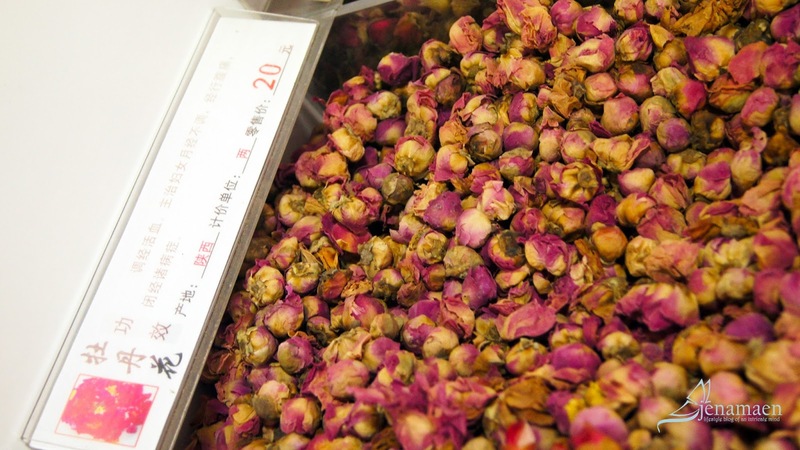 Of course, what is a trip to China without catching a whiff of its herbs? It's definitely a wonder to me how much herbs this country produces. There so many to choose from that I think, even a whole month would not be enough to memorize all of its usage! 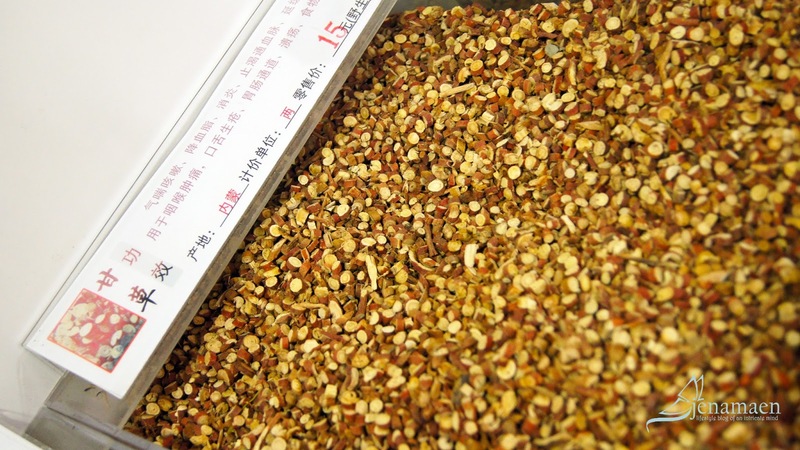 If you prefer to buy by bulk, they say its cheaper to go to the market to get it. And if you're a tourist with no knowledge of any Chinese language or dialect, and is looking for a specific type of herb you need - just like we did - I suggest you go with someone you know who is local and who is familiar with herbs - or risk getting stuck with local sellers hard-selling some kind of herb you don't even recognize! The easiest option, though, is getting one on a popular mall. There are plenty of them to choose from there already - and it's a lot safer. As you can see, we definitely had been through a lot of food stores, but, of course, there were plenty more that we didn't know of. 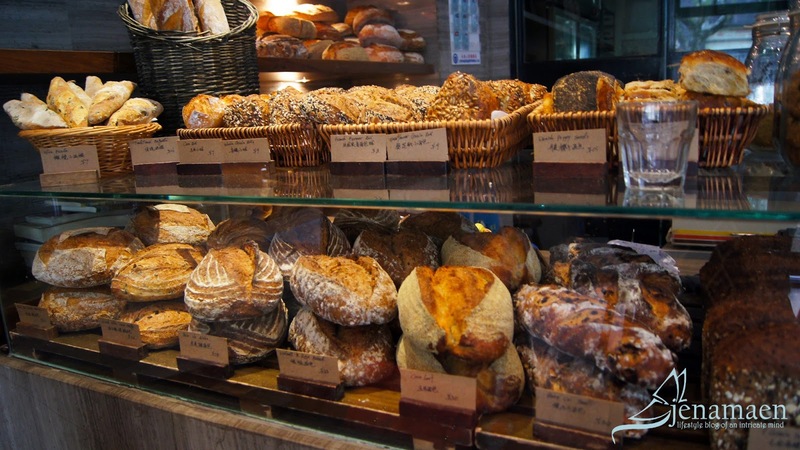 Surely, Shanghai could be a place for a foodie-wannabe. Disclaimer: I don't claim to be a certified foodie. This post is based my own experiences and is not, in any way, an accurate list to base scientific researches upon.